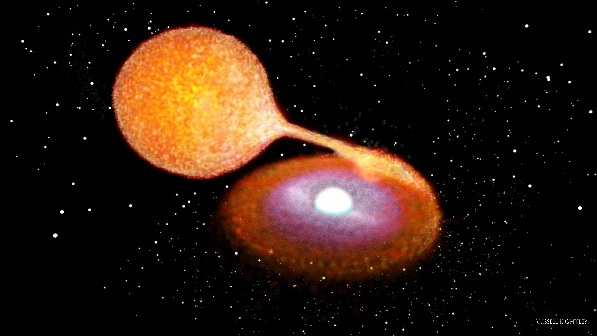 (CN) – An unusual white dwarf star in the Milky Way galaxy may be the first example of the byproduct of a recently discovered, fainter type of supernova. The properties of the white dwarf, known as LP 40-365, could help scientists determine how these supernovae form, according to a study published Thursday in the journal Science. “Without superlatives, the discovery of a survivor, the first of many to follow, is a unique opportunity to study remnants of the engine at the very heart of these massive thermonuclear explosions,” lead author Stephane Vennes, of the Astronomical Institute of the Academy of Science of the Czech Republic said in an email to Courthouse News. The newly identified type of cosmic explosion, Type Iax, is believed to be a related form of Type Ia supernovae, which have a fairly consistent brightness that makes them particularly helpful for cosmology – the branch of astrophysics that focuses on the physical origins and evolution of the universe. Type Iax supernovae are much fainter than those in the Type Ia group, and are theoretically caused by the partial destruction of a white dwarf. Type Ia supernovae, on the other hand, are caused by the complete annihilation of such a star. LP 40-365 has a low mass, a high velocity and an odd elemental composition, which the team says is exactly what might be expected for the remnants of a Type Iax event. About 99 percent of white dwarfs have surfaces that are dominated by hydrogen or helium – the two most abundant elements in the universe – which makes the star a unique exception. The team now plans to search for additional examples of such Type Iax supernovae remnants, which are likely not as bright and therefore more difficult to observe. “As surprising as it seems, the white dwarf LP40-365 is relatively bright among its peers,” Vennes said. “This fact has convinced us that many more similarly peculiar white dwarfs await discovery. The findings could also help scientists understand the general mechanisms behind Type Ia supernovae. The astronomers estimate the explosion occurred between 5 and 50 million years ago.